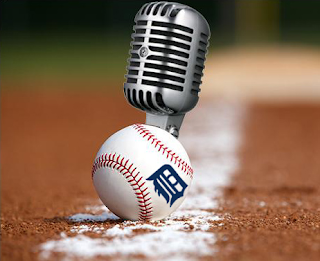 On this week's episode of The Voice of the Turtle, Rob Rogacki and HookSlide break down the week that was in Tigers baseball. From the 5-2 record -- including a sweet, sweet sweep of their division rivals, the Chicago White Sox -- to their upcoming road trip, to a discussion about the recent James Shields trade (and his horrific debut in Chicago), this week's episode is packed full of all the #content you need. That's not all, though! Your hosts also sit down with Brian Sakowski, National Scouting Coordinator for Perfect Game USA and longtime Tigers fan to break down what the Tigers will do in this year's MLB draft, starting on Thursday evening. The Tigers have the No. 9 overall pick in this year's draft, and should land a solid prospect to help bolster their farm system. From the flamethrowing Riley Pint to the promising Matt Manning to "safe" fallback Dakota Hudson, Brian helps explain who the Tigers will (and should) go after. Lest we forget, however, the Tigers are still in a playoff race! Last week's winning streak vaulted them into second place, but they head out on a 10-game road trip with a chance to put some distance between themselves and the White Sox and Royals in the AL Central. And, as always, there's a piping hot batch of listener questions to address. 2:12 - Rounding the Bases: still above .500, baby!